Dustin Tokarski made 42 saves, including 22 in the third period, Saturday night at the XL Center, to backstop the Wolf Pack to a 3-1 win over the Bridgeport Sound Tigers, in the second half of a home-and-home between the two teams. 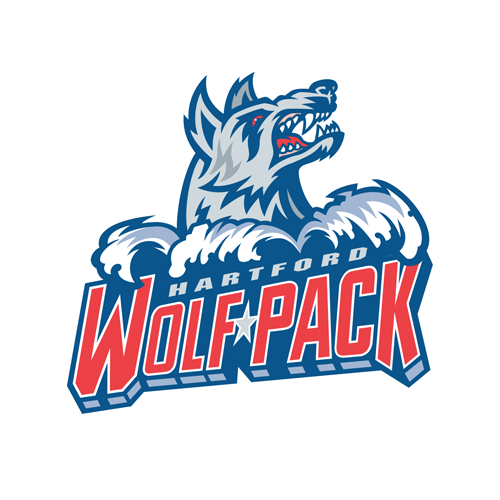 The win gave the Wolf Pack a sweep of the two-game set, as Hartford had defeated the Sound Tigers Friday night in Bridgeport, 3-2 in a shootout. John Gilmour, Peter Holland and Shawn St. Amant scored goals for the Wolf Pack Saturday, and Vinni Lettieri had two assists. Michael Dal Colle scored the only Bridgeport goal, and Jeremy Smith made 27 saves. After a scoreless first period, the second frame was penalty-filled, and the Wolf Pack finally opened the scoring on the third of three consecutive power plays awarded to Hartford. With Devon Toews in the penalty box for slashing, Gilmour put the Wolf Pack in front at 9:05. It was the Wolf Pack’s “Teddy Bear Toss” night, so the tally brought a shower of soft toys from the fans. The toys were collected for donation to Operation ELF and Toys for Tots. Boo Nieves grabbed the puck on the left side and dropped it back to Gilmour at the point. He fed to the opposite point to Lettieri, who returned it to Gilmour. His slap shot beat Smith’s catching glove. Then, after the first 40 minutes produced only one goal, the two teams combined for three in the first 4:55 of the third period. Holland scored in a 5-on-3 power play to make it 2-0 Wolf Pack just 58 seconds into the third. Matt Beleskey drew the puck from the right-wing side of the goal mouth to Holland in the circle, and he put a shot through Smith. The Sound Tigers ruined Tokarski’s shutout bid only 2:10 later, at 3:08, on Dal Colle’s team-leading eighth of the season. Dal Colle deflected a Seth Helgeson shot from the left point on goal, and Tokarski couldn’t control the rebound. That allowed Dal Colle to get another swipe at the puck, and he knocked it into the net from Tokarski’s right. The Wolf Pack widened it back to a two-goal margin only 1:47 after that, at 4:55, with St. Amant scoring his first Wolf Pack goal. After Cole Schneider had a bid denied, he was able to recover the puck and pass in front to St. Amant, who reached out and flipped it in on the forehand. Tokarski did the rest after that, ensuring his, and the Wolf Pack’s, team season-high third straight win. The Wolf Pack are now off until next Saturday, December 1, when they will host AHL-leading Charlotte Checkers on “Star Wars Night”. Faceoff is 7:00 PM at the XL Center, and fans can hang out with their favorite Star Wars characters and win some awesome Star Wars prizes. 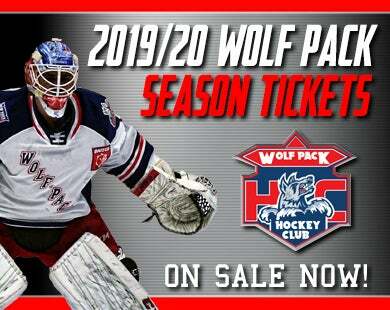 Also on December 1, the first 2,000 fans will receive a Wolf Pack 2019 calendar, courtesy of Hartford Distributors. 1st Period- No Scoring. Penalties-R. Bourque Bri (tripping), 8:21; Hajek Hfd (cross-checking), 15:44. 2nd Period-1, Hartford, Gilmour 6 (Lettieri, Nieves), 9:05 (PP). Penalties-Ho-Sang Bri (slashing), 4:17; Eansor Bri (boarding), 6:20; Toews Bri (interference), 8:51; St. Amant Hfd (interference), 12:48; Beleskey Hfd (tripping), 18:41; Dal Colle Bri (hooking), 19:04; C. Bourque Bri (slashing), 19:25. 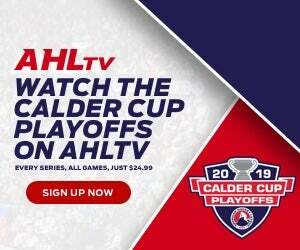 3rd Period-2, Hartford, Holland 3 (Beleskey, Lettieri), 0:58 (PP). 3, Bridgeport, Dal Colle 8 (Helgeson, Ho-Sang), 3:08. 4, Hartford, St. Amant 1 (Schneider, O'Donnell), 4:55. 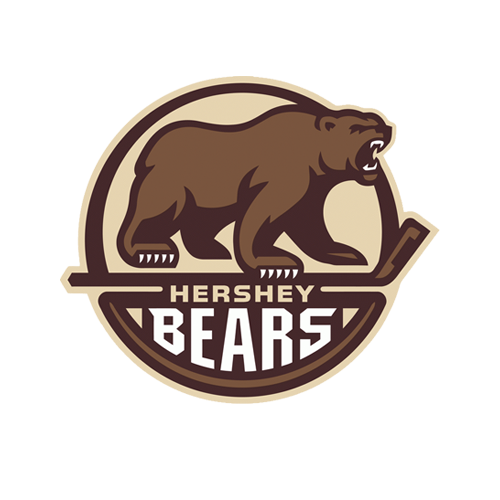 Penalties-Bernier Bri (roughing), 4:55; St. Amant Hfd (unsportsmanlike conduct), 4:55; Leedahl Hfd (tripping), 6:34; Helgeson Bri (instigating, fighting, misconduct - instigating), 10:25; Crawley Hfd (checking to the head, fighting), 10:25; Dal Colle Bri (interference), 19:50. Shots on Goal-Bridgeport 10-10-23-43. Hartford 8-12-10-30. 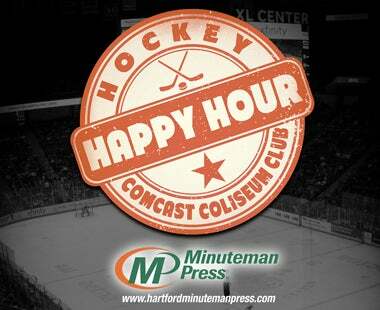 Power Play Opportunities-Bridgeport 0 / 4; Hartford 2 / 7. Goalies-Bridgeport, Smith 5-3-1 (30 shots-27 saves). Hartford, Tokarski 4-3-1 (43 shots-42 saves). Referees-Michael Markovic (47), Ben O'Quinn (27). Linesmen-Kevin Briganti (39), Luke Galvin (2).